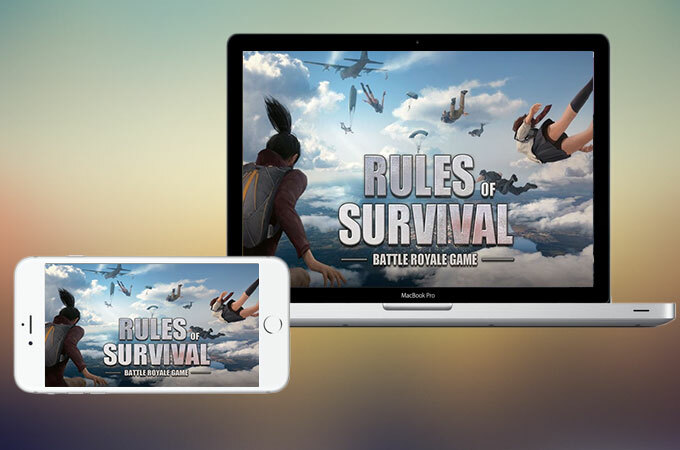 Rules of Survival is a popular game which has a similar design to PUBG. The premise of the game is to outlive your enemies and survive the battle arena. You’ll be deployed on an 8×8 map to find weapons, collect items, and draft strategies. However, instead of playing it on your computer, this can only be downloaded on your Android and iOS. With the small screen of the mobile phone, you might get uncomfortable or dissatisfied. So, if you want to play Rules of Survival on PC on a bigger screen, let’s move on to the next section and find out some ways to do it. The first way to play games on a PC from your mobile devices is through ApowerMirror. This is a screen mirroring application available for Android and iOS users. It provides an excellent method to cast smartphones on computer—both Windows and Mac. Moreover, there are other tools that can be found within the application like a screenshot tool and recorder. Its Android version has a control mode which allows you to manage your on-screen phone using a mouse and keyboard. Hence, you can easily perform tasks from your computer. 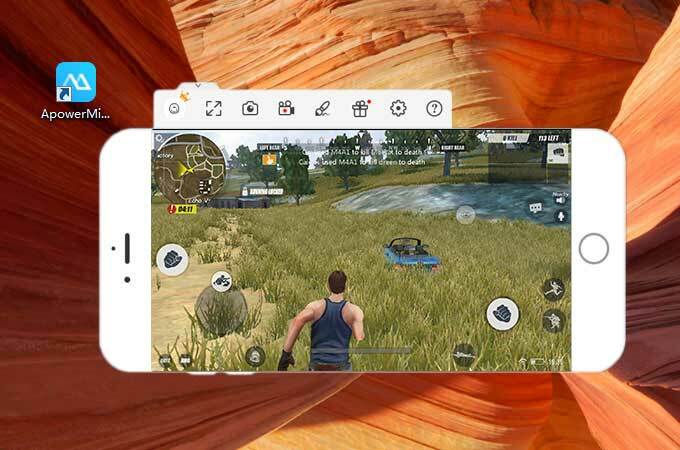 So, here’s how to mirror Rules of Survival to PC. Download and install ApowerMirror on your computer. Launch the program once done. Next, connect your phone to your computer. For Android users, download ApowerMirror from the Google Play Store and enable USB debugging on your device. Connect your phone with a USB cable. For iPhone users, search for ApowerMirror on the App Store and install it. Go to your home screen and swipe up to reveal the Control Center. Click on “Screen Mirroring” or “AirPlay Mirroring” then tap “Apowersoft” with your computer’s name inside a bracket. Now, you will see your mobile screen on the PC. Open Rules of Survival and start playing. Aside from a mirroring application, you can also use BlueStacks. This is an emulator which enables users to create an Android device with KitKat version. It is a free application on Windows and Mac that can download games and apps like Facebook, Twitter, Candy Crush, and Subway Surfers. Of course, it can also run Rules of Survival. So, follow the steps indicated below to learn how to play Rules of Survival on PC. To start, get BlueStacks on your computer. Install the program and sign in using your Gmail account. Configure the application. After a series of steps, you can now see your device on your computer screen. Proceed to the Play Store or App Store and search for the game. Install it how you’d normally install on an actual phone. Finally, access your gameplay and start playing with your mouse and keyboard. MEmu App Player is another emulator for your Windows PC. 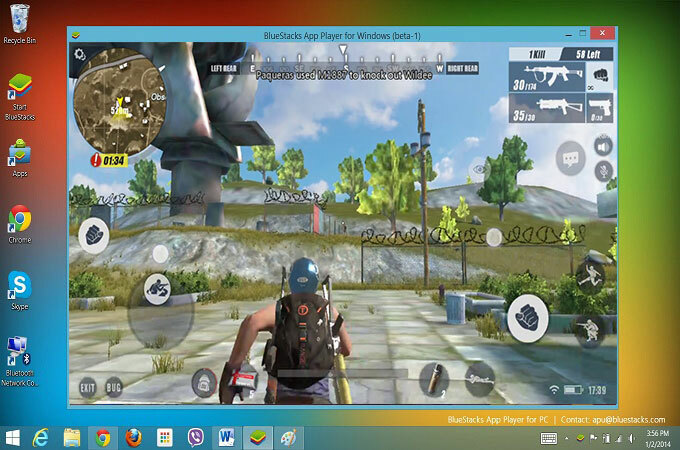 Like BlueStacks, it gives you the ability to create a virtual device to download Android games and apps on your PC. This supports different kind of applications ranging from the least popular to the most. What makes this distinct from other software of its kind is the way it offers to share files between the replicated device and computer. Anyway, the guidelines below will show you how to play Rules of Survival on computer. Begin by installing the program on your computer. Once you have it installed, set up the device according to your choice. 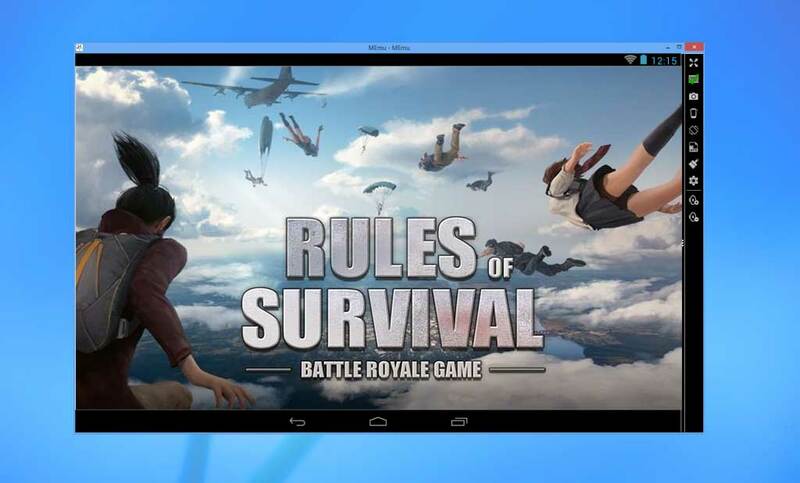 Navigate to the Play Store and search for Rules of Survival then hit the Download button. Once the game appears on your home screen, tap on it to launch the arena. Set the key mapping first time so that the controls will follow that of PUBG. Generally, playing Android games on a computer gives you the convenience of a wider screen. Summing up, there are two different methods introduced within the article and choosing between them depends on your preference. The first one, ApowerMirror, has its advantages for those who still want to continue their games while they’re away from their computer. So, even if you are walking outside, or talking to your friends in a fastfood chain, you can check your progress from time to time. However, if you are always at home and on your computer, you can use the last two apps mentioned. Just be aware that using these kinds of programs might affect your desktop performance.